Coming soon to a UK cinema near you is 7 Welcome to London a breath taking, stylized and utterly ghoulish thriller crafted in a gritty manner that accentuates the film’s edgy vision. 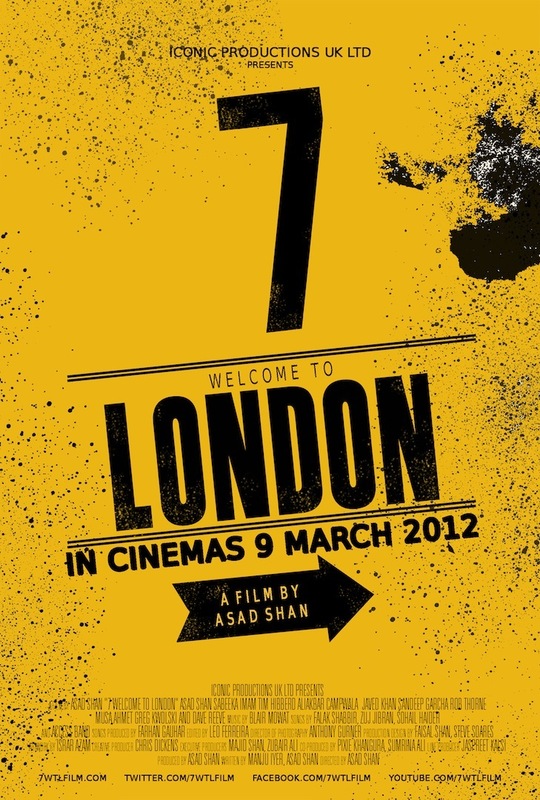 Bollywood Films, the UK’s pioneering distribution company has acquired the exclusive international distribution rights of 7 Welcome to London. This cinematic offering grabs the quintessential flavour of the Bollywood genre whilst retaining a true British heart. The fast paced thriller centres around the struggles and hardships faced by a young immigrant from India, who feels that London will allow him to fulfil his dreams and aspirations. While he finds love on the underground, one phone call changes his life forever. The stunning film explodes with multiple layers of meaning, tone and mood to get your mind flowing like never before! 7 Welcome to London brings homegrown UK talent to the forefront right from the cast to the entire film unit. Bafta and Oscar winning editor Chris Dickens is the creative producer for 7 welcome to London and has seamlessly blended Bollywood with international film stylistics and techniques. The film also marks the debut of British Asian VJ Asad Shan in this upcoming Hindi romantic thriller. Pakistani pop stars Falak Shabbir, underground rocker Zuj Jibran, Sohail Haider and Access band provided the 7 tracks for the OST of the film. Directed by Asad Shan, the film stars himself as well as Sabeeka Imam, Tim Hibberd, Rob Thorne in leading roles and is set to release in the UK on 9th March 2012. We also have your first look at the song ‘Tera Saath Ho’ sung by Falak!